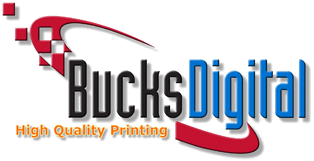 Bucks Digital may be one of the best held secrets in all of marketing and print. Our individual talents span decades and disciplines from typesetting, lithography, film service bureau, offset printing, warehousing, fulfillment, databasing, and digital technologies. Our clients include some of the largest corporations in the world, as well as some of the smallest. We believe any job worth doing is worth doing well. And, our clients know it, too. "Thank you so much for being so good at what you do. It's always a pleasure working with you."